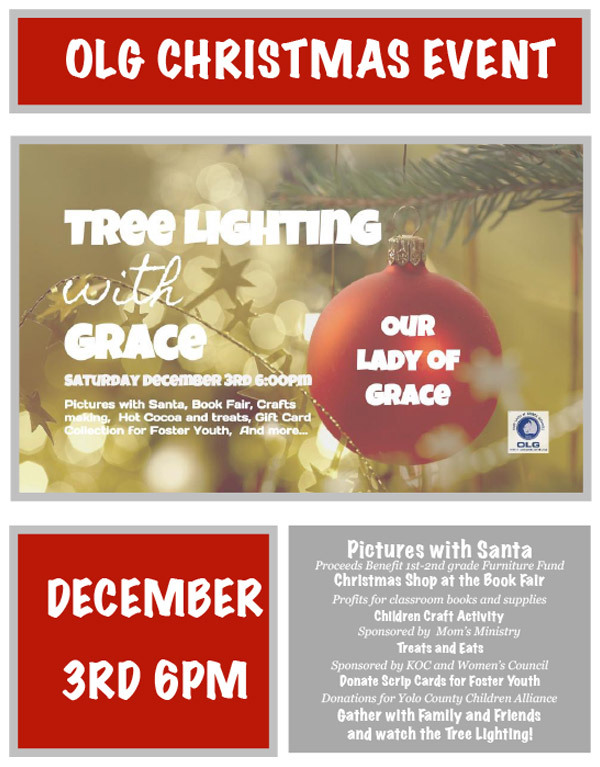 The Our Lady of Grace Christmas Tree Lighting is an event for the entire family. In addition to Santa pictures without long lines, OLG families can participate in various activities, enjoy treats, and get a glimpse of the OLG tree lighting. Each year collections are made to benefit a local charity.